Châteauneuf-du-Pape translates to "new house of the Pope" and refers to the relocation of the papal court to Avignon in the 14th century. Many Italian nobles moved to the area as well, and, thus the Lançon family members (owners of Domaine de la Solitude) are direct descendants of the Barberini family of Rome, still a prominent family in Italy to this day – among their ancestors number Pope Urban VIII and two cardinals. Generations of winemakers at Domaine de la Solitude have worked hard to consistently preserve the high quality of their wines. This is a family steeped in the history of the region and of France. On the label, their family crest of three bees, dates to the middle ages. Since the Renaissance, through the French Revolution and into modern times, the family has played a part in the narrative that has been written about Châteauneuf-du-Pape. After the devastation of Phylloxera in the early 1870s, the region was in chaos and reconstruction of vineyards could be financially ruinous. The Châteauneuf-du-Pape vignerons were just some of those affected by the rampant fraud and adulteration that was common in the early part of the 20th century. In response to this, the vignerons of the village drew up a set of rules that would become the first prototype for the entire Appellation Controlée (AOC) system, including a physical delimitation of where vines could be planted, minimum alcoholic strength, permitted grape varietals, and sorting of picked grapes. In the 1980s, brothers Michel and Jean Lançon took the future of Domaine de la Solitude in their hands, focusing attention on the vineyards. Fertilizers have not been used at Solitude for the past ten years. Over the past several years, Michel's son Florent Lançon has been taking over the day-to-day operations of Domaine de la Solitude, continuing to make improvements while preserving the traditions of his father and uncle. The Estate is a contiguous 100 acres, planted to 86 acres of red grapes and 14.8 acres of white grapes, with vines averaging 50 years of age. 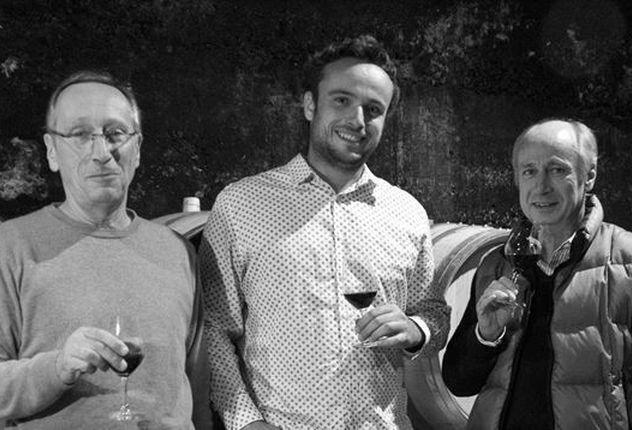 Driven by the desire to produce the best possible wines while still respecting the traditions of Châteauneuf-du-Pape and their lineage, in 1999, Michel and Jean decided to introduce four prestige cuvées and added Cuvée Barberini Rouge, Cuvée Barberini Blanc, Réserve Secrète, and Cornelia Constanza to the winery's production. Wine Spectator 95"This drips with raspberry, cassis and plum fruit flavors, with a remarkably silky feel throughout. Alluring black tea and incense notes hang in the background, and there’s an element of roasted apple wood as well. The fruit blazes through the finish."